I managed to get the job app in this AM. That makes three, I think. 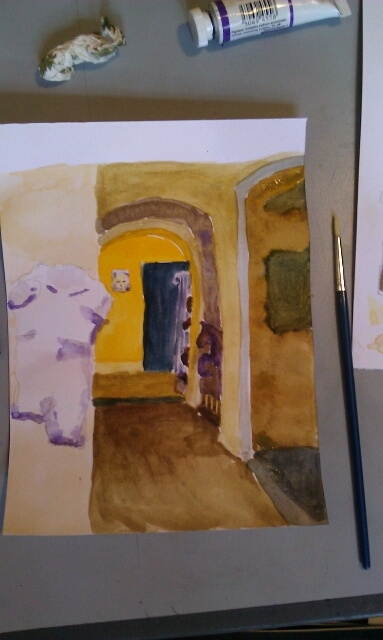 This is my color sample trial from yesterday: today I am going to turn it into a full sized painting. It was my first try at watercolor and, I think , not bad.